Are you ready to work with a knowledgeable real estate professional that knows the market and can get results? 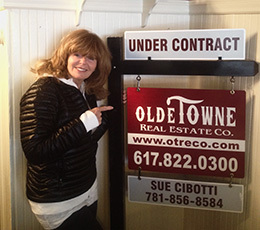 Are you looking for a knowledgeable real estate professional who knows the Massachusetts real estate market and can get the results you need? If so, the answer is simple. You’re already on my website, just like thousands of other incredibly smart people looking to buy or sell in Boston market. Whether you are looking to buy or sell a home let me put my local area knowledge, experience, and dedication to work for you. Discover the advantages of hiring a real estate buyer agent to represent your investment interests and help you find the perfect home, condo, or investment property. Let my proven knowledge in the real estate industry work for you. Take the first step towards selling your home today by picking up the phone and calling me for a FREE market analysis of your property. Although my office is located in Dorchester, I work with clients looking to buy or sell all over Boston and the South Shore.